Flash does exactly what the name says – it adds some flash to a website. It is generally used to grab attention through slideshows, movies and/or to showcase multimedia. However it is a tricky installation and can lead to a drop in rankings if it is not utilized correctly or presents errors. When using flash it is best to use it minimally and make sure that it does not interfere with all the SEO work that has already gone into the website. IFrames or Inline Frames allow web developers to feature content from other websites or external sources. It is particularly useful if the website wants to include a live feed of another website for visitors. It acts like another browser that is embedded directly into the webpage. 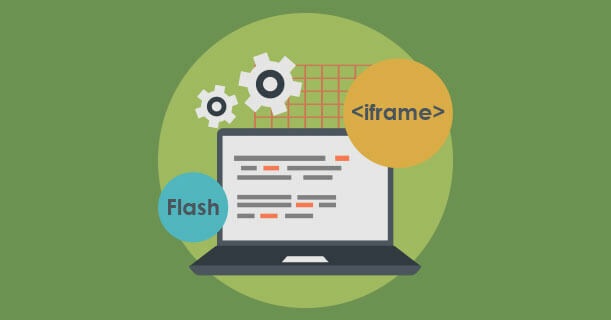 Flash and iframes are not recommended as SEO strategies due to the fact that search engine robots have trouble indexing them, with Google’s mighty robot being one of the only ones that has been proven to index iframes– therefore it is vital to ensure that these elements are not displaying any errors in order to secure a good search engine ranking. If a search engine robot comes across a website with flash and iframes that displays errors, it is likely to index less pages and report the website as full of errors.